The Meiji Restoration of Imperial rule in 1868 resulted in the down­fall of Japan’s power­ful mili­tary com­man­ders, the sho­guns, and the Japa­nese samu­rai war­rior class. Partly as a con­ces­sion to the samu­rai, the Japa­nese govern­ment em­barked on an aggres­sive foreign policy in Man­churia in north­eastern China and on the Korean Penin­sula. The Japa­nese defeat of Russia over the latter’s ter­ritorial ambi­tions in Man­churia in 1904–1905 bol­stered Japan’s power, autho­rity, and self-con­fi­dence in the Asia Pacific region. The Treaty of Ver­sailles, which ended World War I, granted Japan rights and con­ces­sions in the Shan­tung Penin­sula in north­eastern China across the Yellow Sea from Korea, a Japa­nese colony since 1910. Using an argu­ment similar to the Nazis’ man­tra for Lebens­raum in Eastern Europe, Japa­nese national ex­tre­mists looked to China for living space. 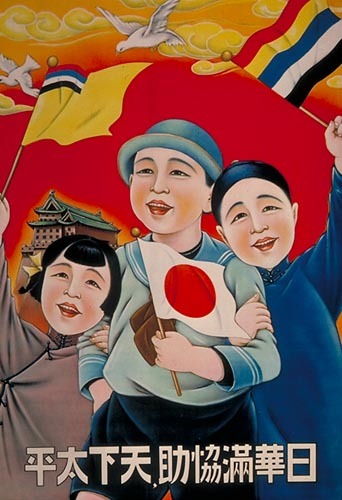 On Septem­ber 18, 1931, Japan’s Kwan­tung Army in China in­vaded Man­churia and on this date in 1932 estab­lished the pup­pet state of Man­chu­kuo, the army’s spring­board for further aggres­sion in China. In the same year the Impe­rial Japa­nese Army, with the blessings of Shōwa Em­peror Hiro­hito (on the throne from 1926 to 1989), organ­ized a secret research group in Man­chukuo’s Ping­fang dis­trict for the pur­pose of de­vel­oping chemi­cal and bio­logical wea­pons to be used against the Chinese, Koreans, and other “in­ferior” peoples whose terri­tory they, com­par­able to the Nazis in Europe, in­tended to con­quer. Unit 731, whose head­quarters’ design was that of a lum­ber mill, was the most noto­rious of these research labora­tories, where dis­eases such as bu­bonic plague, cho­lera, and an­thrax were mass-produced. More than 10,000 humans (euphe­mis­tically known as “logs”) were sub­jects of bar­barous experi­ments con­ducted in this and simi­lar fac­tories of death, repeatedly being forced to work to ex­haus­tion and ex­posed to dis­eases, starva­tion, and vivi­section. Hap­less subjects included crimi­nals, ban­dits, anti-Japa­nese parti­sans, poli­tical pri­soners, as well as in­fants, children, the elderly, and preg­nant women. Run by the Kwan­tung Army, Unit 731’s vic­tims also included U.S., British, Dutch, Aus­tra­lian, and Soviet pri­soners of war. Unit 731’s germ and chemi­cal wea­pons pro­grams resulted in pos­sibly as many as 200,000 grue­some deaths of mili­tary per­son­nel and civil­ians between 1932 and 1945. Most of the per­petrators were never brought to justice after the war. 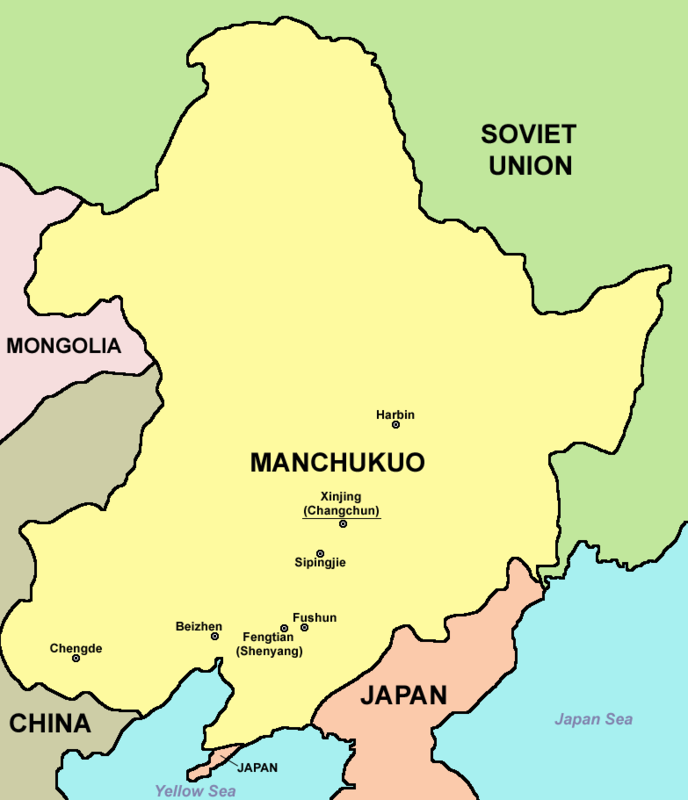 Above: Map of Manchukuo (Manchuria) in relation to its neigh­bors. The large area labeled “Japan” is the Japa­nese colony of Korea (1910–1945). The smaller area on the south­ern part of the Liao­dong Penin­sula in Man­churia went by the name of Kwan­tung Leased Terri­tory, which included the mil­itarily and econo­mically signi­fi­cant ports of Lüshunkou (Port Arthur) and Dalian. 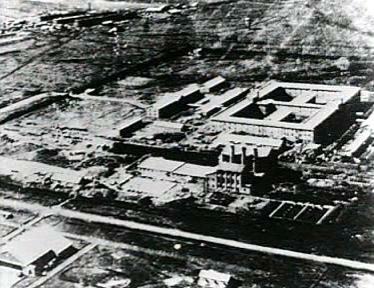 Right: Japanese Biological Warfare Unit 731 Head­quarters at Ping­fang (near Har­bin), Manchu­kuo (North­east China). Officially known as the Epi­demic Pre­ven­tion and Water Puri­fi­cation Depart­ment of the Kwan­tung Army (the Japa­nese occu­pa­tion army in Man­chu­kuo), the sprawling com­plex was ser­viced by an air­port and rail­road sta­tions. Leading Japa­nese medi­cal schools assigned doctors to Unit 731, some of whom later com­plained of wasting the best years of their lives on medi­cal research that could not be con­tinued after the war. Almost 70 per­cent of the vic­tims who died in at Ping­fang (there were other Unit 731 instal­la­tions) were Chi­nese, including both civil­ian and mili­tary. Soviets com­prised close to 30 per­cent of the vic­tims. Most of Ping­fang was burnt by the Japa­nese to destroy evi­dence of the some of the most grisly atroci­ties of World War II, but the incin­er­a­tor where the remains of victims were burnt remains today. Unlike war crimes asso­ci­ated with Nazi human experi­men­ta­tion, which are extremely well docu­mented, the acti­vi­ties of Unit 731 are known only from the testimonies of former unit members.